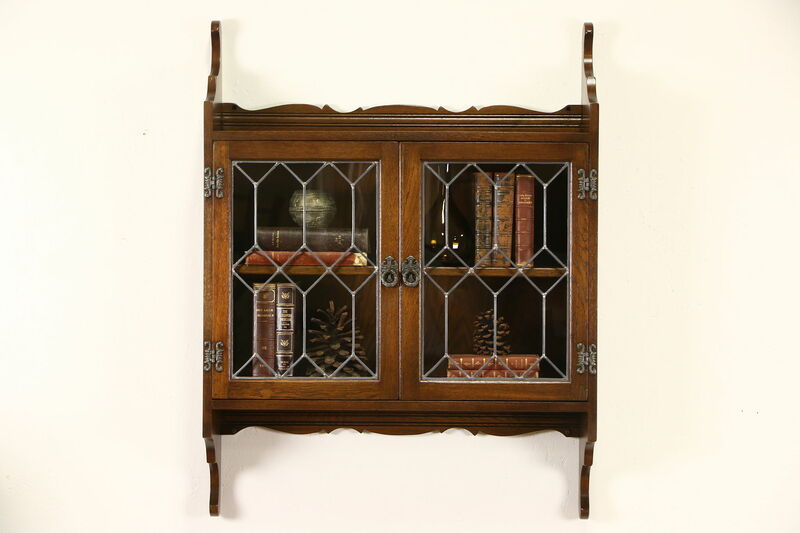 Signed "Wood Bros. of England," a solid oak hanging cupboard has leaded glass doors and would be functional in a bathroom. Only about ten years old, the finish is in excellent condition. Wrought hardware is authentic on this traditional vintage furniture. Size is 34 1/2" wide, 45" tall and 9" deep.